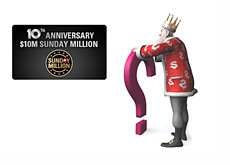 Will 50,000 People Turn Out For the 10th Anniversary Sunday Million? 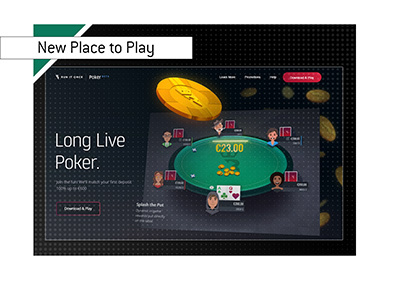 Can Pokerstars Do It Again? In case you didn't know, the 10th Anniversary Sunday Million on Pokerstars is taking place this Sunday (14:30 ET start time). This is going to be a big, big tournament, as Pokerstars has guaranteed a prize pool of $10 million, with $2 million being guaranteed to the winner. 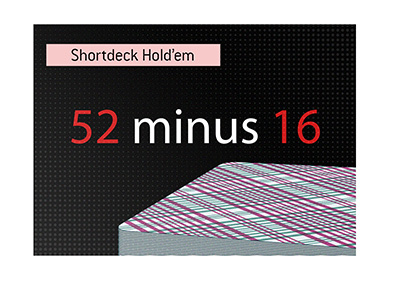 The question now is - will 50,000 players end up turning out for the Sunday Million this weekend, or will there end up being a massive overlay? Pokerstars sold out their $1 World Record tournament last weekend, as 200,000 players from across the globe ended up entering for their chance to win $50,000. That was certainly an impressive turnout, but getting a minimum of 50,000 players to register for a $215 tournament will be a considerably tougher task. If 50,000 players do end up turning out for this tournament, Pokerstars will end up making $750,000 in rake (50,000 players x $15). Not a bad haul for one tournament..
As of this second, 4,261 people have signed up to play..